These Sites Have Scored a Touchdown with Their Service. NFL betting has changed a great deal in a short time. 20 years ago, wagering on America’s favorite sport was often as simple as calling a personal bookie or putting down $5 in an office pool. Today’s betting landscape includes websites from all over the world trying to get the gambler’s attention. Don’t be intimidated. There’s a wealth of information and advice out there for football enthusiasts who are preparing to place a maiden bet at a digital sportsbook. Pro football will always be unpredictable. Only those with a perceptive eye to the game can ever hope to pick point-spread winners at better than a 50% rate. So why stress out trying to find the right betting site on your own when predicting final scores is hard enough? Listen to the experts. Here’s our list of top-notch NFL betting sites to get your search started. LegitGamblingSites.com spares no expense to accurately research the best NFL betting sites on the web. Our first step is to determine the legitimacy of a new betting site. It’s not enough to know that the sportsbook is currently active and paying out to gamblers who win. The history of a site and its long-term reputation with pro bettors and handicappers is a clue to the site’s ultimate value. If there is any evidence that a website may be engaging in fraud or is unreliable when dealing with users and their accounts, we immediately remove it from any mention on our site while investigating further to try to learn more about the abuse. Our team also focuses on finding sportsbooks that offer customer support 24 hours a day. Getting paid out by an online sportsbook can feel like a challenge. PayPal isn’t allowed in the United States, and casinos treasurers must go through a step-by-step process of verifying the gambler’s identity and his winnings before sending out a check or a wire transfer. After a while, it feels routine. But it’s impossible to set up a trusty payout schedule with a sportsbook that is dishonest or unlawfully withholds won money. Making money with NFL betting is not easy, and it’s close to impossible with a shady bookie. Our focus on a site’s history and reputation is meant to ensure that gamblers will find betting sites they can trust. Identity theft is so widespread today that some users get locked out of their own devices just trying to stay safe. Given that fact, it’s only natural to be concerned about the safety and security of your personal I.D. and credit card info when turning them over to a sportsbook. If a casino is licensed for public operation, it gives recourse to the consumer upon any suspicion of personal information theft or fraudulent credit card transactions. The first thing LegitGamblingSites.com does when reviewing an NFL betting site is to see where the book is licensed. Earning a gaming license is the biggest step that a sports betting site can take when staking out its reputation among players and journalists. Finding a site with the best odds for your style of NFL betting is one of the keys to an enjoyable gambling experience. If you’re a go-getter with a busy schedule, you might look for a sportsbook that keeps its odds steady and doesn’t tend to roll with the betting action.If you prefer proposition-betting on quarter-by-quarter outcomes or individual player stats, a sportsbook that posts hundreds of NFL betting markets every week is a major plus. Some sportsbooks offer odds that involve a smaller-than-usual automatic percentage taken by the house. Those betting sites are known as “reduced juice” sites. Betting sites offer a variety of bonuses and rewards aimed at keeping players excited and focused on the site. When signing up for an account, you will almost certainly be offered a sign-up bonus in the form of free deposited cash to place bets with. However, refusing the sign-up bonus means that you will be able to withdraw money much sooner and without betting as much. Rewards can be anything from free-play credits at the online casino to special merchandise offers and VIP access to parties. Obviously, the highest-rollers get the biggest perks from the house. Good men have lived and died trying to find the perfect system for betting on NFL games. But one “system” that has always proven to work is to find your comfort zone with a betting style that suits your lifestyle and goals. Many handicappers urge more bets on the underdog in football, baseball, and other sports. Most gamblers bet on who they think will win regardless of the odds, slanting the lines slightly and creating an opportunity for a high-payoff winning bet. That could well be the case, but what if the player’s main goal is to win a few small bets and have fun? Or what if trying to pick winners seems less interesting than predicting over/under total points, picking against the point spread, and prop betting? For those still grasping to understand the strategy, options, and potential pitfalls, here’s a refresher on some NFL gambling basics. The beginning sports bettor must obtain an understanding of the numbers on the betting board and what they mean. For instance, most betting sites don’t list odds for NFL teams in the old-fashioned horse track style of X/Y, but rather in decimals like (+100) or (-3500). Understanding the mathematics of a moneyline can be a challenge at first. Many betting sites offer a handy risk-reward calculator for gamblers who don’t already have the figures in mind. New NFL bettors must be prepared to play responsibly and limit losses. The league is unpredictable. But you will experience the joy of unexpected last-second wins to go with disappointing misses. Some simple tips include avoiding personal bias, looking for an edge instead of betting on every NFL game, and staying sober while making decisions. It’s also easy to make costly mistakes as a beginning sports gambler. Typical NFL betting blunders include thinking like a fan, paying attention to meaningless trends, and signing up for tout services. LegitGamblingSites.com has compiled several of the worst mistakes to avoid in the link below. Let’s back up a minute. Before learning the finer points of strategy, it’s extremely important to understand the terms and ramifications of placing sports wagers online. The first thing to do is learn how to manage a bankroll or a stake. Click our bankroll management page for more info. When a bookie offers odds on a sporting event, he’s offering you a winner-take-all stock trade. Risk-reward is everything. If a player doesn’t know how the numbers relate to real money, how can he possibly get an advantage on the house? On top of that, there are hundreds of terms and definitions involved in the various to sports betting. Thoroughbred racing alone has hundreds of terms unique to the sport! But that doesn’t make the terminology less important. To learn more about sports betting terminology and betting odds, check out the guides below. Several strategies for NFL betting have helped career sports gamblers make a living. But too many half-cocked systems have ruined bankrolls. To develop a set of winning tactics, it’s important to begin with the tried-and-true maxims that sportsbook experts have developed over the decades. Key strategy points include “sleeping on” any individual game wager, checking on hidden variables, and visualizing the game. Click the link for more. A quality sportsbook will offer a dizzying array of markets for the NFL. Here’s a quick recap of the most common types of American football betting lines. A moneyline is a wager on which team will win the game outright. Moneylines are listed in fractions relating to a $100 bet. A plus symbol indicates an underdog, while a minus denotes the favorite. Read more about moneylines at the link below. The point spread is possibly the most time-honored popular NFL wager. It involves picking a team to prevail on a handicap basis with a number of points spotted to the underdog. Favorites must win by more than the spread to win the point spread bet for gamblers who picked them. Underdogs must merely lose by less than the spread. Point spread betting is sometimes referred to as “ATS,” or “against the spread.” Read more about ATS wagering at the link below. Point totals are listed in the O/U, or “over/under” market. A wager of “over” total points is a bet on the combined number of points scored by both teams to exceed the bookie’s total. “Under” total points is a wager on the final score to add up to less than the total. Read the page below for more on the O/U. Proposition bets, or prop bets, are gambles made on specific events or statistical feats occurring during a game, season, or playoff run. Props can be literally anything from the number of TD passes Aaron Rodgers will throw to the outfit worn by a celebrity on the field. Visit the link below for a more in-depth review of NFL proposition betting. Parlays are bets made on 2 or more outcomes at once. Sportsbooks offer big payout margins on NFL parlays, knowing that the odds of 2 or 3 outcomes working out in the gambler’s favor are deceptively slim. But the house is likely to offer bells and whistles trying to persuade you to take the leap and wager a parlay. Get up to par on parlays by reading our dedicated tutorial. Futures are bets made on the outcome of a season or a championship game. Futures may be offered on the next Super Bowl winner, for instance, with favorites among the 32 teams enjoying fairly short odds, while cellar-dwellers are offered at 200-to-1 payout. Futures betting is a unique category of NFL markets in that lines may be offered for a game’s result before the previous game/s on the schedule are completed. Handicapping is the art of assigning value to an athlete or a team in a competition – for instance, the team’s chances to win the next game or to win a championship. If the handicapper concludes that an NFL team’s chances to win are significantly higher than the odds presented by a sportsbook, then he or she may advise betting on the team which is underrated by Vegas. Handicapping begins with an understanding of probability and statistical trends. This can seem difficult, but it’s not impossible. Some handicappers are now using powerful computers to predict outcomes for them. But there’s no substitute for knowing how to scout and analyze a pair of opponents. There was once a time when few people performed math calculations when predicting the outcomes of events. Those days are long gone! Successful career handicappers are said to be like stock analysts or financial consultants. Handicapping was once a taboo at the top levels of society, but modern-day sports prediction geniuses are now invited to interact with bankers, investors, and others who handle money for a living. Think you’ve got what it takes to join such an exclusive club someday? Read below to learn how the very best sports handicappers operate. Former NBA player Kurt Rambis was known as a handicapper’s worst nightmare. His all-out effort in the regular season caused bookies to overrate what his performance might be in the playoffs, when Rambis’ production would always fall off. There are always complications when trying to handicap a postseason. 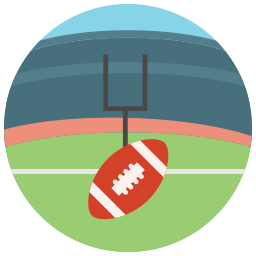 Click to learn more about the crucial differences between predicting regular-season NFL games and the epic clashes of January. Forecasting lines is the art of predicting what a point spread will be before it is set by Vegas or the direction the spread will move in with the next update from the odds-maker. Score prediction is a related handicapping tactic that involves complex computer science and algorithms designed to predict the final scores of NFL games and other events. Modern forecasting is an invaluable tool of the successful NFL bettor. Click the button below for more details on a growing method of NFL betting. Turnovers are one of the hidden menaces preventing losing NFL teams from winning games. Since 2002, the New England Patriots have dominated the league in turnover ratio. We rest our case. A strong +/- turnover ratio can make an ordinary offense look good and the defense look even better. For more about how analysis of turnover charts can help pick winners, read our guide on the topic. The Super Bowl is the busiest day on the American sports betting calendar. The massive event is a catalyst for fan buzz and media interest all over the world. The circus-like atmosphere around the Super Bowl can create opportunities to score with a wise pick. Conference champions who are perceived as boring or conservative have become profitable “value” bets as recreational gamblers flock to bet on go-for-broke opponents. Prop bets for the NFL’s title game touch on the player’s knowledge of music, art, politics, and fashion. There are Super Bowl betting markets to match every preference…even if you don’t even like sports. Click on our Super Bowl betting guide for more fun details. We can’t promise that you’ll get rich or famous betting on NFL games. But we can confidently say “welcome” to the most exciting betting experience in all of professional sports. National Football League teams can engineer a thrilling comeback out of nowhere, score 2 or 3 touchdowns in less than a minute, then fail spectacularly as another twist of fate determines a winner in the final seconds. Gambling on the NFL is not for the faint of heart. But it is a growing hobby for millions of sports fans. Find an NFL betting website that you’re comfortable with, and wager intelligently with money you can afford to lose. But most importantly, find a market and a style of betting that suits your interest in the game. The first ingredient of successful betting is to enjoy the process of getting there.